Bringing a new pet rabbit into your life is an exciting event. You’ll want to make sure you’re fully prepared so that you and your new bunny can get off to a great start. 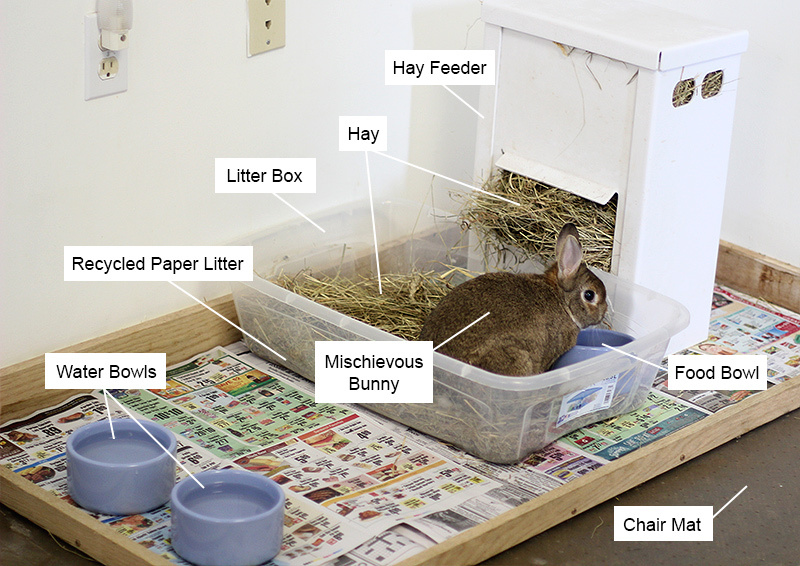 Learn the basics of rabbit ownership, and review our checklist of initial bunny supplies below! Are you ready for a 10-year (or more) commitment? Rabbits make wonderful indoor companions. They are clean, relatively quiet, and adorable! But before you jump into rabbit ownership, make sure a rabbit is a good fit for your family. First of all, ensure you’ve properly budgeted for your new furry friend. Costs include an adoption fee; vet bills for spay/neuter surgery, annual checkups, and occasional illness; housing and bunny proofing supplies; and food. After ten or more years, these costs can add up! Make sure you do the math first. Learn more at How Much Does a Pet Rabbit Cost?. Further, do your research on what it’s like to own a rabbit. Rabbits like to chew EVERYTHING. So anywhere your rabbit goes must be bunny proofed. If not, you will be greatly disappointed when cherished possessions are gnawed up. 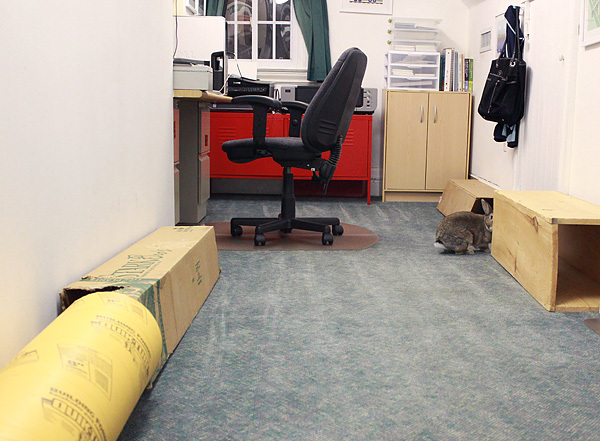 Rabbits require daily exercise, so keeping them confined to a small space all the time will not suffice. In addition, if you’re envisioning having a lap pet, a rabbit might not be right for you. In general, rabbits don’t like being held. Finally, rabbits should not be thought of as “children’s pets”. Families with children can certainly enjoy the companionship of a rabbit, but the primary caregiver for a rabbit should always be an adult. See Children and Pet Rabbits for more information. You can learn more about the realities of rabbit ownership in our article, Thinking about Getting a Pet Rabbit? to determine if a rabbit is a good fit for you and your family. If the answer is still “Yes!” then read on! The first step when you decide to bring a bunny into your life is deciding where the bunny will primarily live. At My House Rabbit, we advocate that rabbits live inside the home with you. This provides much-needed social interaction for the rabbit, along with protection from predators and severe weather. A great place to house your rabbit is in a central area of your home. You can use a puppy pen to block off a corner of a living room or family room. A puppy pen provides ample space for a litter box, food/water bowls, a hay box, and a cardboard castle. 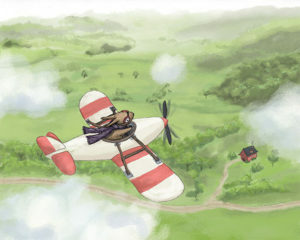 The rabbit also still has plenty of room to hop around in. Using a puppy pen is a better option than a cage because it provides more space, and it can be easily adjusted if you want to gradually increase the area to eventually give your bunny free reign in a bunny-proofed room (or rooms). Because puppy pens have doors, it’s easy to let your bunny out of the pen for daily exercise. Learn more at Housing Your Pet Rabbit Indoors. Once you’ve set up the primary housing location for your rabbit, you’ll have to bunny proof the surrounding area where your rabbit will romp, rumble and play. All cords must be covered with wire protectors or lifted out of reach (at least 3-4 feet). Your bunny will also be drawn to wooden furniture legs, books/stray papers, remote control buttons, moldings, rug corners, and basically anything else that’s potentially “chewable”. If you don’t want those things destroyed, you will have to keep them out of reach or covered. Or you will have to carefully supervise all out-of-pen exercise time. For more tips, see our article, Bunny Proofing Your House. What bunny should I get and where? Now here comes the fun part: Picking your rabbit! Many ask, “What breed is best?” The answer is that rabbits have many different kinds of personalities and this is not confined to any particular breed. There are lovable, affectionate rabbits spanning all kinds of breeds, both purebred and mixed. A rescue or shelter is a great place to look for your rabbit. Rescues and shelters have baby bunnies, adult bunnies, senior bunnies, and pairs of bonded bunnies – in all breeds and sizes. Check out PetFinder.com or your local House Rabbit Society chapter website for available rabbits up for adoption near you. The added advantage of adopting a bunny through a rescue is that the volunteers often litter train the rabbits while in their care. Further, in general, rabbits older than six months have already been spayed or neutered. This greatly reduces vet bills for you. 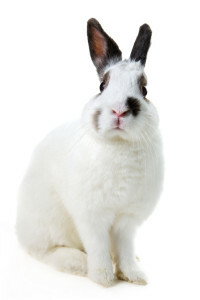 To learn more about adopting a pet bunny, see our article, Benefits of Adopting a Pet Rabbit. Because rabbits are social creatures, you may want to adopt a bonded pair of rabbits. This is a great option for people who work during the day. You won’t have to worry about your rabbit being lonely if he/she has a bunny pal. If you’re unsure, talk to a rescue volunteer about the pros and cons of adopting a pair. Now that you’ve got a good overview of rabbit ownership, hop on over to our Rabbit Care and Rabbit Behavior sections for more articles about creating a safe and enriching home for your first house rabbit. How Much Does a Pet Rabbit Cost?